The year 2017 has been a rewarding year for us with 4 prestigious awards adding glory to our crown. BEST ARCHITECT OF THE YEAR – Accommodation Times. BEST COMMERCIAL BUILDING OF CHENNAI – Accommodation Times. BEST COMMERCIAL BUILDING OF NAVI MUMBAI, CIDCO & I.I.E. MGS Architecture’s 11th Anniversary issue of April-2016 has published an article about Mr. Deepak Mehta’s journey in the field of architecture till now and his views on the current trends in architecture. The magazine, Construction & Architecture Update have also featured our firm in a Cover story on “INDIA’S TOP ARCHITECTS” in which our firm has been ranked as one of the “Top 10 Architects” in India. The leading Design Architectural publication “Indian Architect & Builders” have given us exclusive coverage in their April ’04 issue, through a separate supplement which featured all our work. Design publication, IFJ has published Ar. Deepak Mehta’s views on ‘The upsurge in real estate industry that redefined the face of modern Indian urban architecture’ in Jan – Feb, 2010 issue. 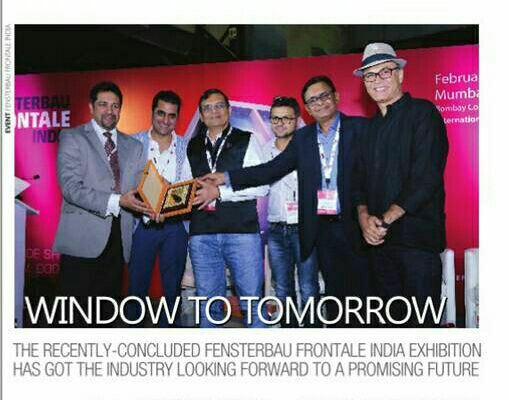 In leading Real Estate Magazine ‘Chennai Realty’ in Feb 2014 issue, Deepak Mehta has been featured as ‘THE PERSONALITY OF THE MONTH’ where his mantra of Glocalisation is highlighted.